Conveniently located just off I-75 at exits 49, 59 & 62. Other roadways include US 25 and HWY 150. Rockcastle County is Kentucky’s tourism gateway to other area attractions. 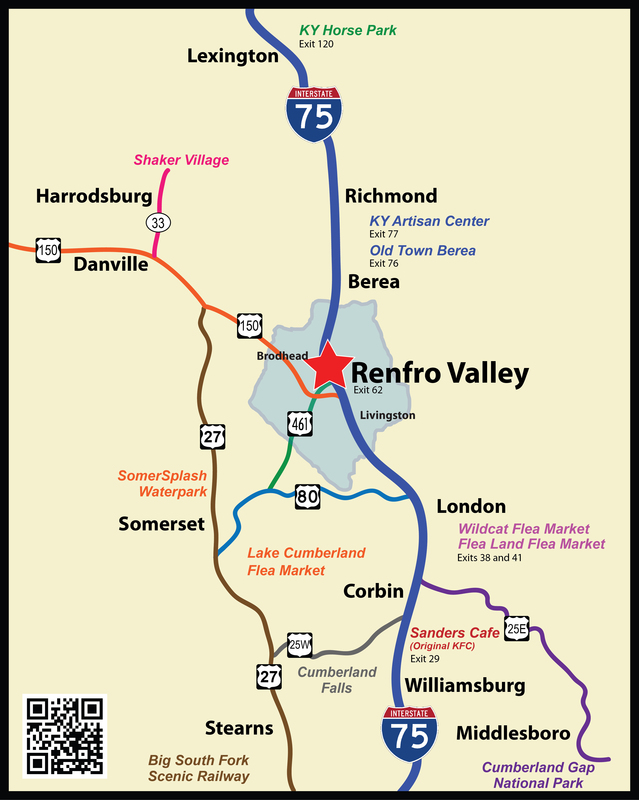 When you have enjoyed the many things to do here in Rockcastle County, plan to stay with us while you visit other tourism sites just a short drive away. Click location name to visit their website.